The ARIN School and Community Services department offers support for learners of all ages through grant-funded programs. 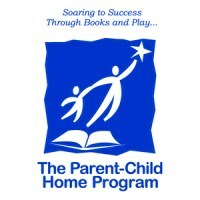 Programs provided for young families and children include the Family Focus Program, PA Education for Children and Youth Experiencing Homelessness (PA ECYEH), the Parent-Child Home Program (PCHP), and Pre-K Counts. Programs for school-age and older include the Baby Think It Over program, Bully Prevention program, Fatherhood Initiative, Health-Related Services, Pregnant and Parenting Teen program (PPT), Project LIFE (Learning is for Everyone), School Safety, School Nurses’ Collaboration, 21st Century Community Learning Centers/Evergreen Boys & Girls Clubs, Project TIPS (Teaching Incarcerated Parenting Skills), Underage Users’ Group (UAU), and Educational Alternatives to Shoplifting (EAS). You can find more information about each of these programs by clicking on the links.